Built in 1893 as the Allegheny 233 Lodge, and then called the Masonic Hall Building and Apartments, the structure underwent a major renovation in 2016. Pittsburgh-based Loysen + Kreuthmeier Architects and Indovina Associates Architects developed residential apartments on upper floors and a new restaurant, bookstore, and cultural space on the first floor as a venue for City of Asylum’s programming. Visitors can expect to see a structurally-open, welcoming and flexible space used for performances, dining, and meetings. Enjoy a great evening at Brugge on North @ Alphabet City featuring great food & drinks, served in an intimate space, following the tour. City of Asylum @ Alphabet City® — is a home for writers, readers, and neighbors — that includes spaces for literary performances, film screenings, children's storytelling, jazz concerts, as well as a restaurant (Brugge on North) and an independent bookstore (City of Asylum Bookstore). City of Asylum @ Alphabet City is also a hub for Pittsburgh’s literary scene, local jazz and touring performances, and artistic experimentation. It is a home for diverse voices from around the globe—a place where Pittsburgh meets the world and the world meets Pittsburgh. And it is also a home for many partnering organizations and artists in our own community. By establishing a safe haven for writers and artists who voice ideas that are new, different, or provocative in a diverse urban community, City of Asylum encourages new lines of communication, cultural exchange, and collaboration. 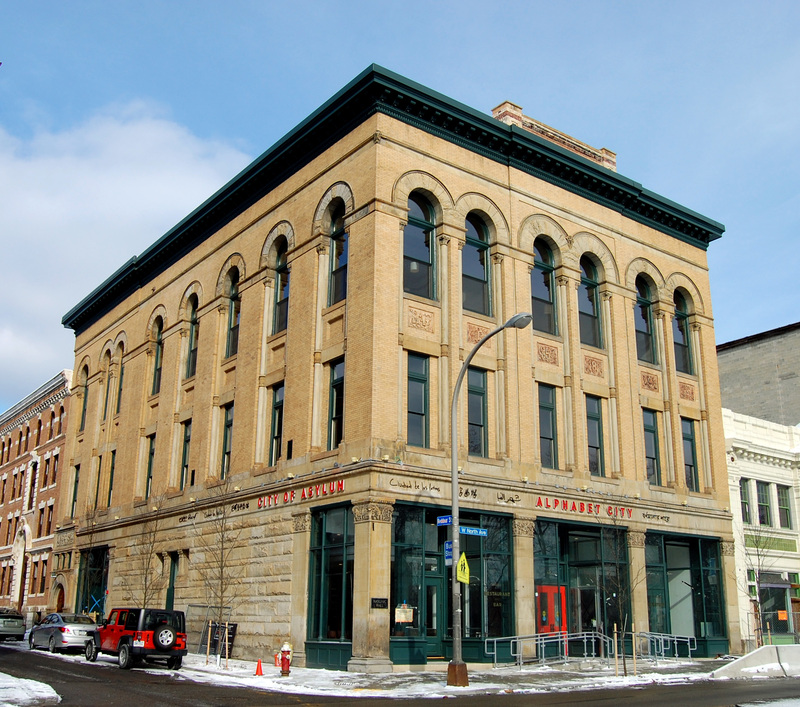 City of Asylum's permanent home is the Alphabet City cultural center building, a grand former Masonic Hall in Pittsburgh’s historic Northside neighborhood. Located next to the old Garden Theater, this building sat vacant since the mid-1990's. Today, Alphabet City is home to City of Asylum’s performance space, City of Asylum Bookstore, Brugge on North, along with providing an accessible space for the community and sanctuary for exiled writers from around the world.